If you want to withdraw EUR, you need to have a verified account. You can learn more on how to get your account verified here: "How can I verify my account?". 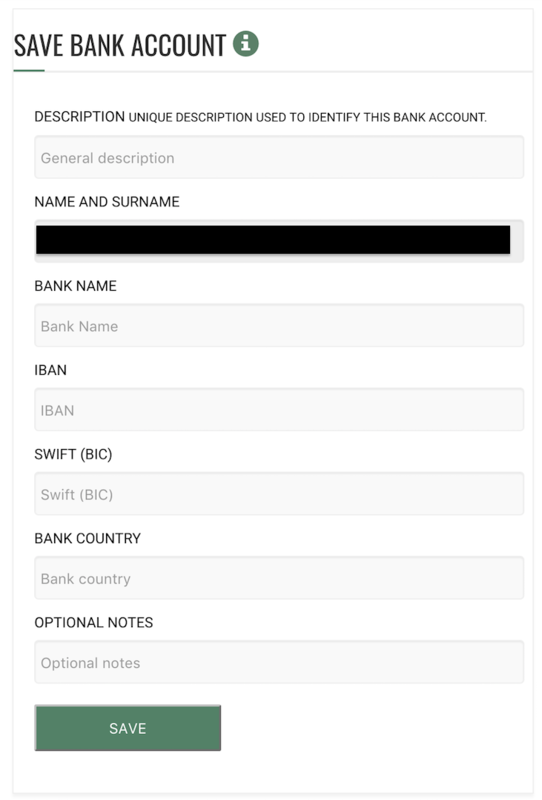 During your first withdrawal, you will be prompted to save a bank account: once you fill in the relevant information, you won't need to re-fill the form every time, as it will be saved in your The Rock account. When you save a bank account, remember to include the BIC number: if you don't do so, your withdrawals will be considerably slower. If you don't know your BIC code, you can check it here: Iban Validator. You can always add more bank accounts, if you want to change it. Keep in mind that withdrawals are generally processed in 24/48 hours (during working days) and that you can only withdraw to your own bank accounts.